LEGOs are classic and fun for kids of all ages! When they first were introduced they were just the colorful bricks and soon added wheels to make cars, trucks, and busses. Oh boy, have they come far from their beginning. They now have many types of building kits. 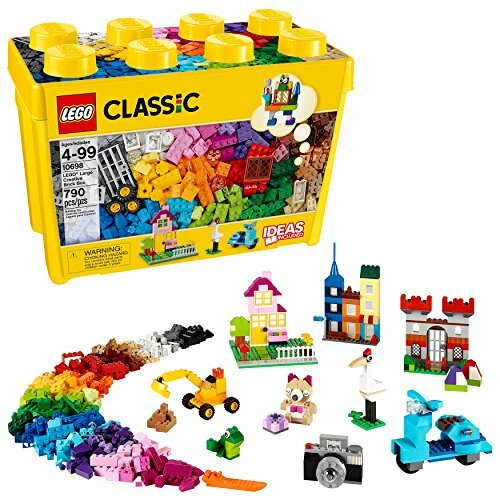 You can still buy the classic set with mostly bricks, but you can also buy kits the create dinosaurs, cities, landmarks and much more! 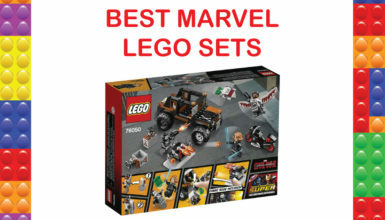 Whether you are buying at a set for a gift or for yourself these kits are all under $50 and are some the best reviewed and rated LEGO sets for the price. Our list has a little something for everyone. 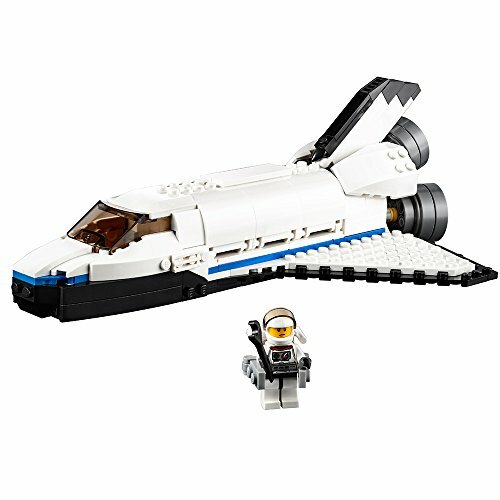 The LEGO Creator Space Shuttle Explorer kit is three building kits in one. 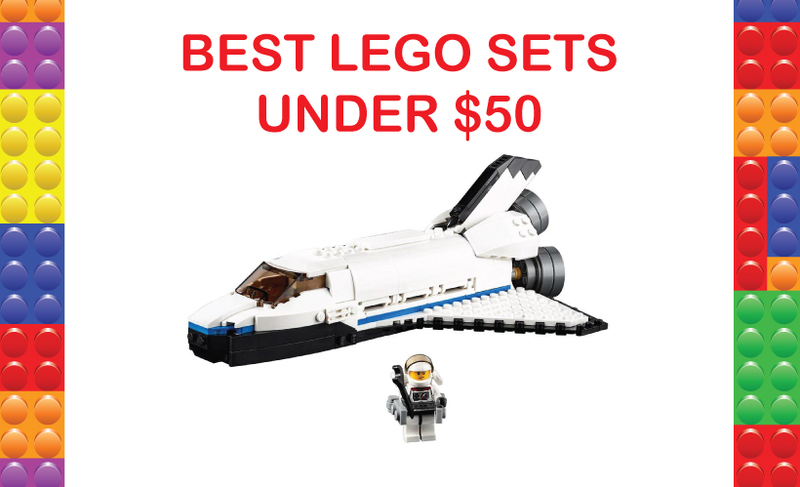 With this set, you can build a Space Shuttle, a Moon Station or a Space Rover. The Space Shuttle is very sturdy when it is built so it can be played with, not just looked at. There is an astronaut minifigure included. The LEGO Creator sets are great. It is nice to have options and be able to go back to the kit and make something new. The Shuttle opens to a payload bay, a satellite with wings that fold out and a robotic arm. The Moon Station has a detailed interior that is great for creative play and the Space Rover has a drilling arm to act out your favorite scenes from the movie Armageddon. You might need to explain the premise of the movie to the kids. Included is a booklet with instructions for all three different designs. It’s nice to find a gender neutral set that all kids will enjoy. This set doesn’t come with a lot of little extra pieces. 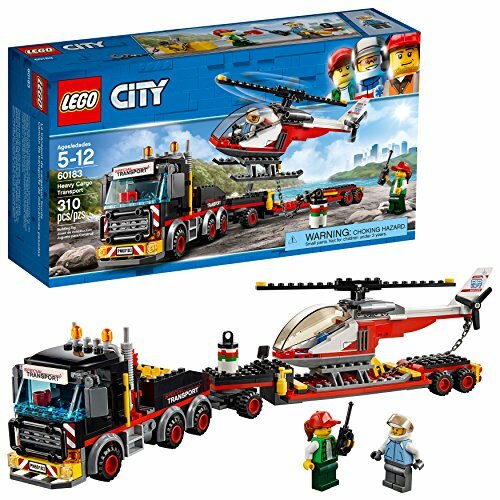 The LEGO City Heavy Cargo Transport is the next set on the list. This set has 310 pieces and is recommended for ages 5 – 12 years old. The set contains parts to build a heavy duty truck, a flatbed trailer, and a toy helicopter. There are two minifigures included. A truck driver and a helicopter pilot. This set is part of the LEGO City line. All the pieces are interchangeable and work with other LEGO construction sets. The truck has details that only LEGO does. There are exhaust pipes, bull bars, and an opening cab. The helicopter has a cockpit that opens up and the rotors on top can spin. This set is sturdy and it is made to be played with. Let’s get these guys to work moving cargo! 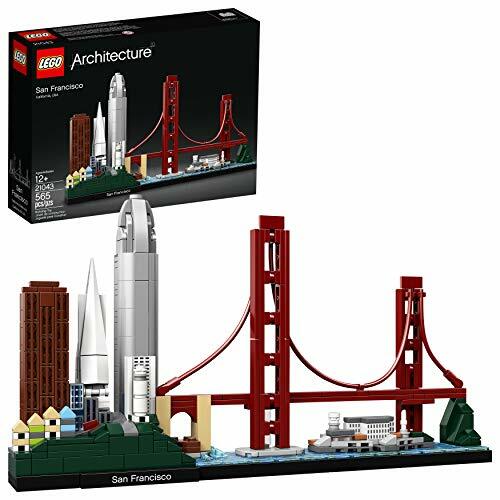 The newest product in the LEGO Architecture Skyline Collection is the beautiful city San Francisco, California including one of the most recognizable bridges in the United States, the Golden Gate Bridge. This set has 565 pieces is recommended for ages 12 and up. In addition to the Golden Gate Bridge, the other iconic landmarks and attractions in this skyline are the “painted ladies” buildings near Alamo Square, the Transamerica Pyramid, Salesforce Tower, Colt Tower, 555 California Street, and Alcatraz Island also known as “The Rock”. The buildings are built to a lifelike scale and the colors are spot on to the real skyline. This comes with a blue baseplate and a nameplate. It would make a great display for an office or in your home. Measurements, when built, are 6” high, 11” wide and 2” deep. With this set, you will build a cool skate house. The house includes a skate ramp, climbing wall, monkey bars, a scooter, a skateboard, and two LEGO minifigures. There are 422 pieces and it is recommended for ages 8 – 12 years old. This is another set that is gender neutral and is great for all kids and can be actively played with after it is built. This isn’t just going to sit on a shelf. 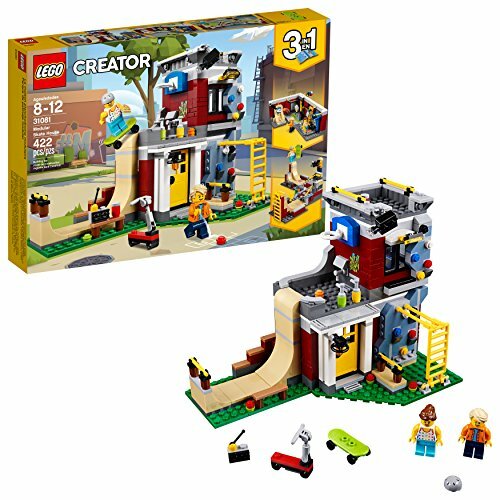 This is a 3 in 1 building set and you can rebuild the set to be a Games Arcade with different games or a Skate Park. There is a booklet with instructions on how to make all three versions. It is also compatible with all LEGO construction sets. 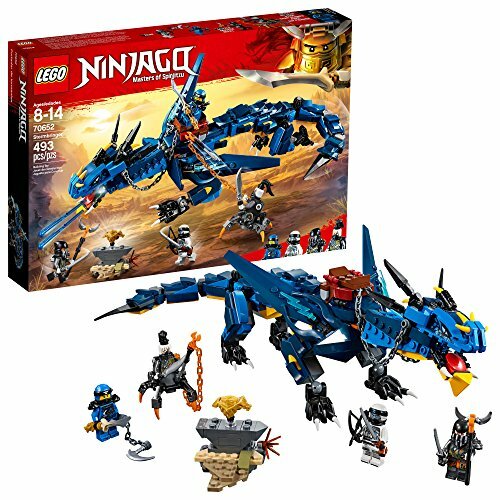 This NINJAGO set creates Strombringer the Lightning Dragon. This a blue dragon and it features lightning bolt shooters and a swiping tail. Included are Zane, Jay, Daddy No Legs and Muzzle minifigures and the set has 493 pieces total. An instruction booklet on how to build the dragon is included and this is recommended for ages 8 to 14 years old. Once built the dragon has posable wings, legs, feet, and neck. The tail is also moveable. Lightning bolts can shoot out of the dragon’s mouth. This Dragon will be ready to fight and claim the dragon armor! This is a smaller set for a Star Wars fan. 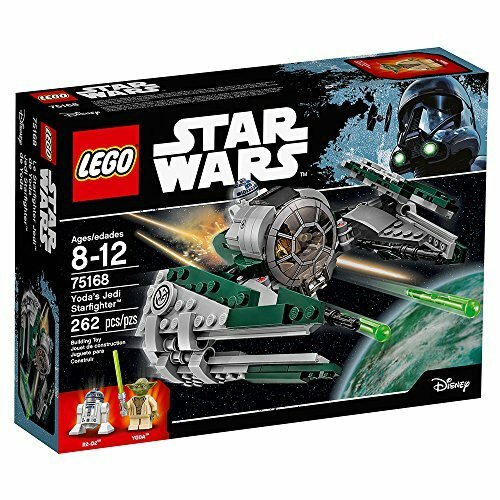 It has 262 pieces and is recommended for ages 8 – 12 years old, but Star Wars fans of all ages will enjoy adding this classic ship to their collection. Yoga and R2-D2 minifigures are included. The ship has folding wings that move around when it is being flown, two laser cannons with spring-loaded shooters, a space for R2-D2, and the cockpit that opens up for Yoda. Once built it can actually be played with and not fall apart. 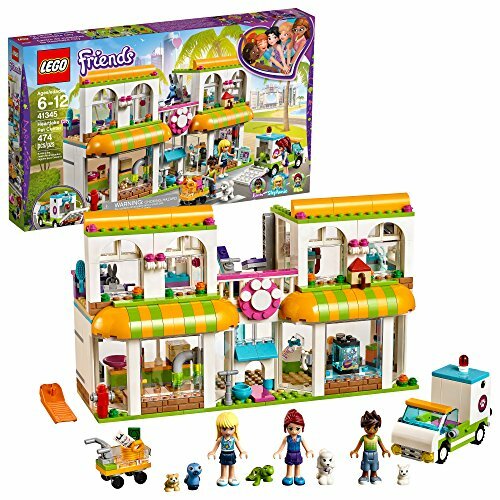 The LEGO Friends Pet Center has a ton of details for your pet lover. 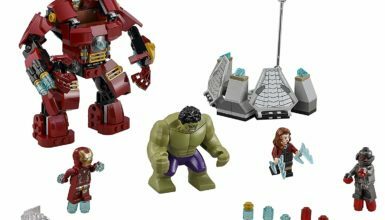 The set has 474 pieces and is recommended for ages 6 – 12 years old. The Friends line is geared toward girls with touches of pink, but any child who likes animals will enjoy this kit. It is fun to put together and great for active play once it’s built. This set has three mini-doll figures, Stephanie, Liam, and Mia. Plus, five animals including a dog, a turtle, a bird, a hamster, and a bunny. The building is a Pet Center with a pet shop that sells animal food, a grooming parlor, and a vet clinic that is completed with an exam table, a sleeping area, and a scale. Take the pet grooming on the road with the grooming van. There is even a small animal playground equipt with a seesaw and a fire hydrant for the dogs to use. 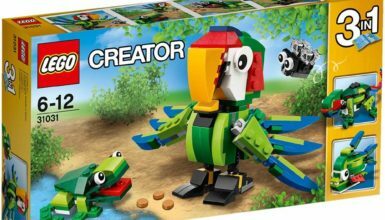 If you are looking for a good set for a beginner, or if you just need extra pieces, then the Creative Brick Box is for you. This is box includes 790 pieces. There are 35 different colors and multiple shapes and sizes. The box itself is plastic and can be used to hold all the pieces. This set encourages free play and creativity. There is an idea booklet included too if need some help getting started. Included are bases of different sizes and a brick separator, which might be worth the price of the set on its own. 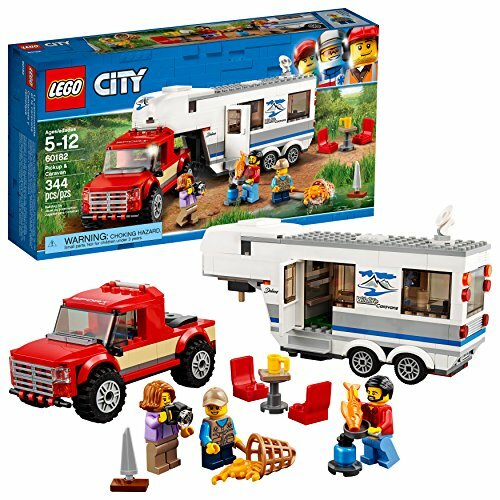 The LEGO City Pickup and Caravan is a great set for all kids. The recommended age group is 5 – 12 years old. There are 344 pieces and you build a truck and a RV trailer. There are three minifigures included, a mom, a dad, and a son. The roof of the trailer opens up to reveal a bed and the side opens to show the inside of the RV, which includes a table and chairs and other accessories for role play. 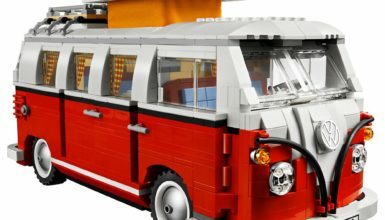 This set is compatible with all LEGO sets and would be a fun addition to your growing city and let your people go camping. There is two step by step guides. One for building the truck and one to build the trailer. This set is fun to build and then can be played with after. 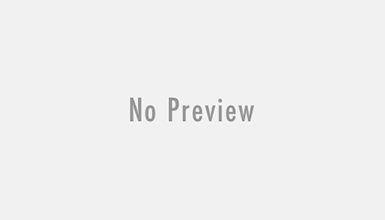 If you have kids that are younger or what to have LEGOs like their older siblings, then this LEGO Junior kit for kids ages 4 to 7 years old might be just what you are looking for. 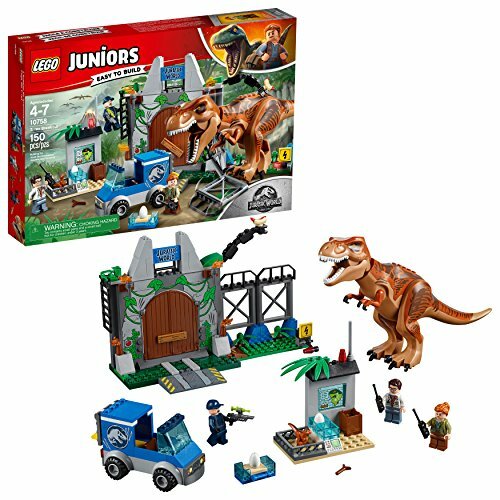 The Jurassic World set is a little easier to build and has fewer and bigger pieces than the other kits mentioned on this list. Another difference is that the decals are printed on the blocks, rather than stickers. There are instructions to build a huge Tyrannosaurus Rex dinosaur, an open back truck, a science station and more. Minifigures included are Claire, a scientist, a guard, and a baby dinosaur. The T Rex is posable and has a both that opens.